London, the very heart of the British nation, and the home to the ancestral monarch has been always a famous tourist gateway since the dawn of the British Empire. With its magnificent aristocratic architectures and luxurious lifestyle, it is bound to attract thousands of travelers who want to explore and indulge themselves in the rich cultural life of London. Of course visiting an exploring London won’t be easy, as there are numerous artifacts and galleries and museums to cover. However, the prominent ones always stand out to be best among the rest. So, pack your bags, put on your travelling boots and get ready to explore the London city! 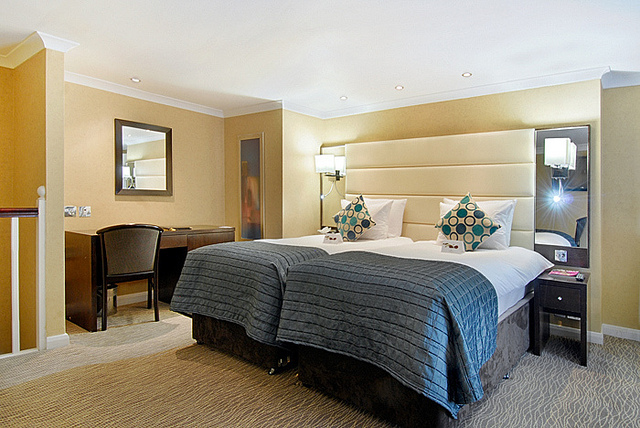 There’s no substitute for a fine luxurious hotel to check-in while residing in London. Whether you’re on a romantic honeymoon or an escapist getaway, enjoying the tranquility with state-of-art amenities and complimentary facilities is always a delightful pleasure. Such an amiable environment can be experienced in the 5 star hotels in London city centre like The May Fair Hotel, The Capital Hotel etcetera, which provide all the luxurious facilities that are bound to spoil you into spacious laziness. From free WiFi, personalized aroma scents, mini freezers in the room, iPod docking station and comfortable beds, these hotels provide you with the finest quality of room services. Apart from that, the banquets and dinner halls provide a wide array of multi cuisine dishes that will be sufficed to satisfy your taste buds. No trip to a foreign land is complete without indulging oneself into the bustling city life, which indirectly refers to the borough markets as well as fancy, premium shopping complexes. London has every kind of shops to quenching thirst of their travelers. From cheap borough markets, that sells beautiful yet simple and stylish clothes to suit your fashion statement, rich exotic fruits and herbs, freshly picked from the farm, cheap British foods like scones, waffles and pastries, to rich, aristocratic shopping centers like Harrods, Burberry etc. which sells the finest clothing and premium designer clothes. So, put on your sunglasses and travelling cap and get ready to shop at your heart’s content! Bankside Gallery– One of the finest art galleries in London that has an exquisite taste of the vibrant artworks, which was inaugurated by Queen in 1890. This gallery is the home for many contemporary watercolor masterpieces, and has been hosting several painting competitions annually. Canada House Gallery – Home to the finest modern artworks, sculptures, drawings and even photography’s, it is one of the fascinating edifice constructed at Trafalgar Square that hosts several temporary exhibitions as well from time to time. London is essentially amalgamated with several fascinating passions that it’s hard to choose which one to look for. However, to make your trip memorable, it is advised to roam and explore the unique culture of the city during the day and immerse yourself into the lazy luxurious lifestyle of 5-star hotels to wear off the fatigue.